AML M5510 - Kit with AML Integrated CCD. 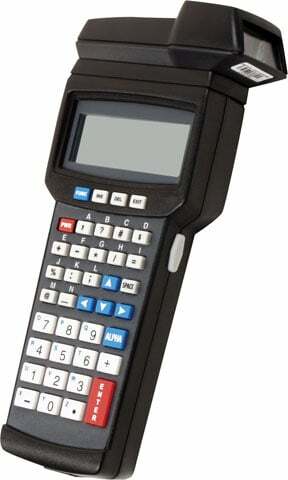 Includes terminal, batteries, manual, serial cable, Application software, & Softcom software. The AML M5510 Portable Data Terminal is rugged, lightweight and durable and features a standard range CCD scanner. The ergonomic design of the M5510 enables one-handed scanning for optimal operator comfort and maximum productivity. The M5510 features an integrated standard range CCD scanner for data collection, a serial interface cable, a 4 x 20 LCD screen, a 32-bit processor with 256K of RAM (expandable) and 2MB of flash memory. With six pre-installed data collection programs and a Windows-compatible program generator, the AML M5510 will be able to adjust to changing needs far into the future. The AML M5510CCD-AM5065 is also known as American Microsystems	M5510CCD-AM5065	or M5510CCDAM5065	.